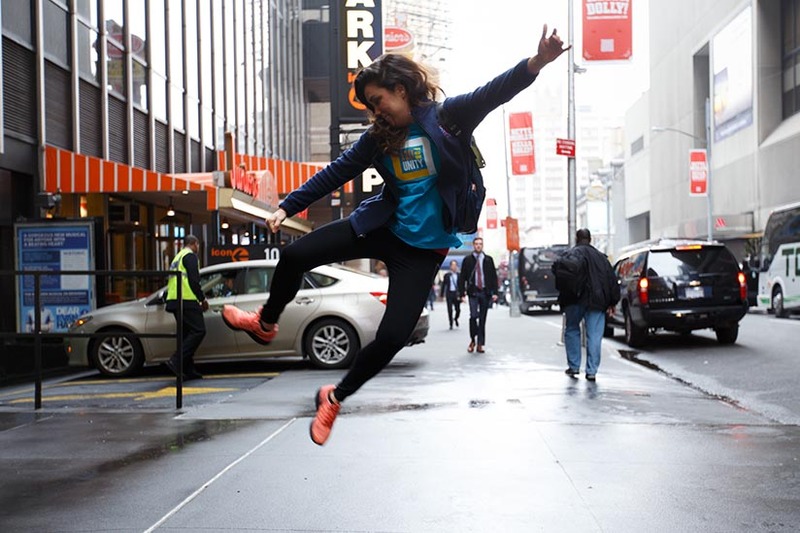 A Viacom employee gets psyched for Viacommunity Day 2017 in front of 1515 Broadway. Viacom President and CEO Bob Bakish sands a bookcase at a Kids in Crisis in Cos Cob, Connecticut on Viacommunity Day 2017. 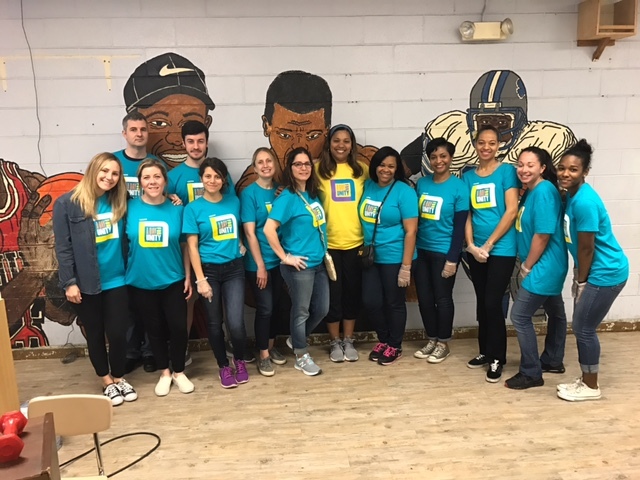 Viacom employees helped spruce up the Boys & Girls Club of New Rochelle, New York at Viacommunity Day 2017. 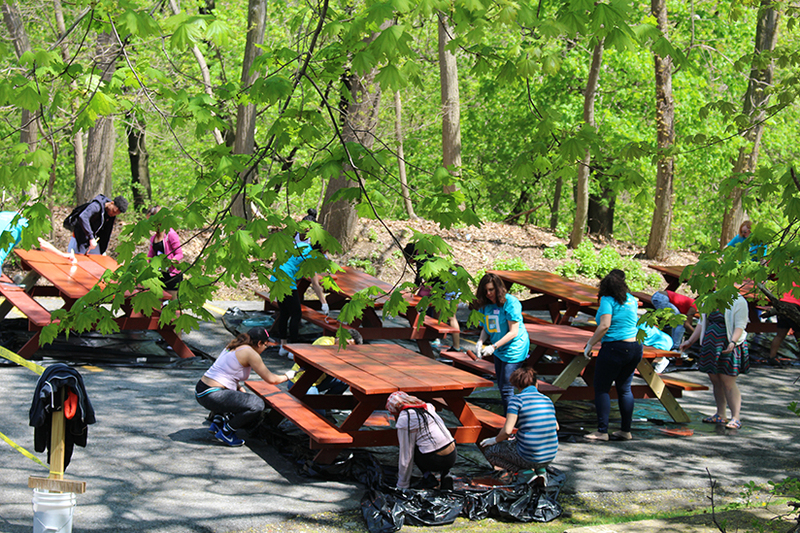 Viacom volunteers teamed up with Graham Windham students to paint picnic tables at Viacommunity Day 2017. 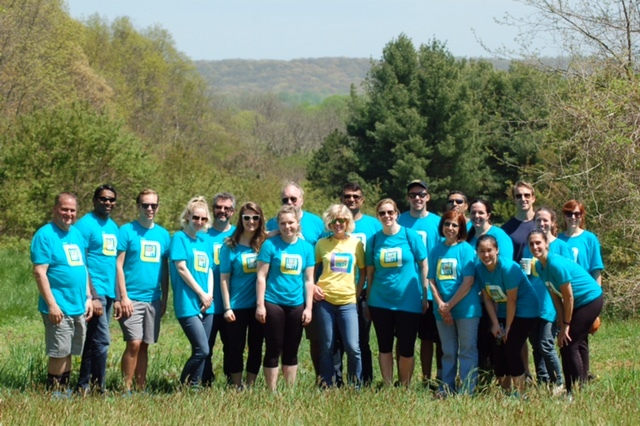 Viacom volunteers in front of the gorgeous New Jersey terrain they helped keep pristine at Viacommunity Day 2017. 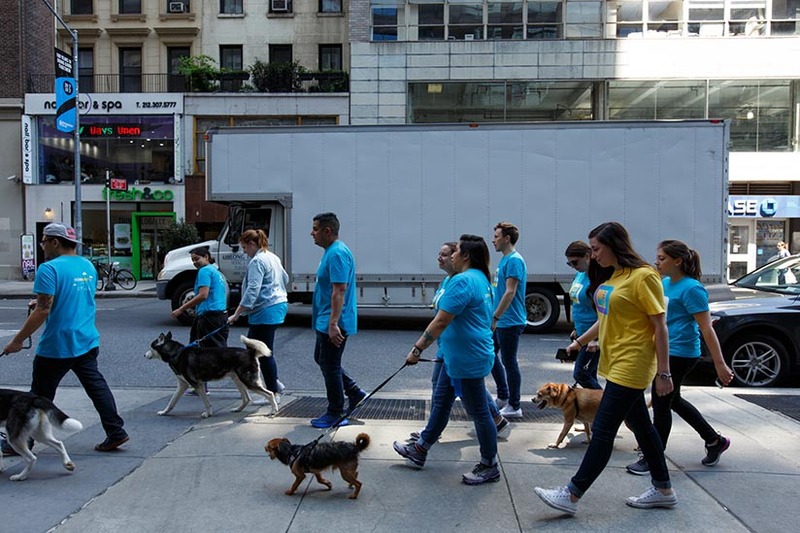 Viacom volunteers walk Human Society dogs through Manhattan for Viacommunity Day 2017. 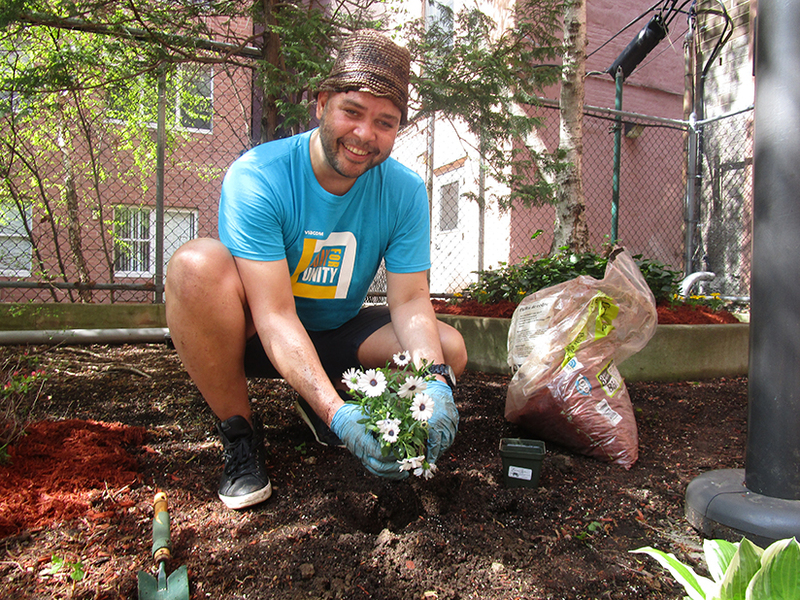 Viacom employees planted flowers and fixed up the grounds for the 59 residents at Henry Street Settlement’s 3rd Street location in Manhattan at Viacommunity Day 2017. 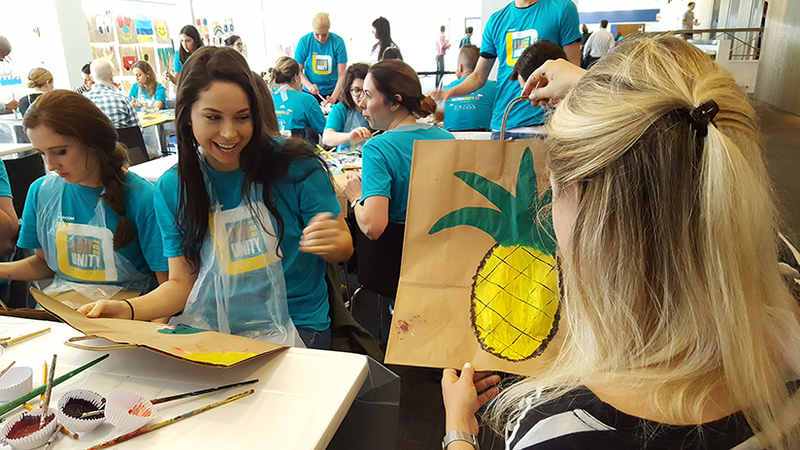 Viacom employees create art in conjunction with Free Arts NYC for Viacommunity Day 2017. 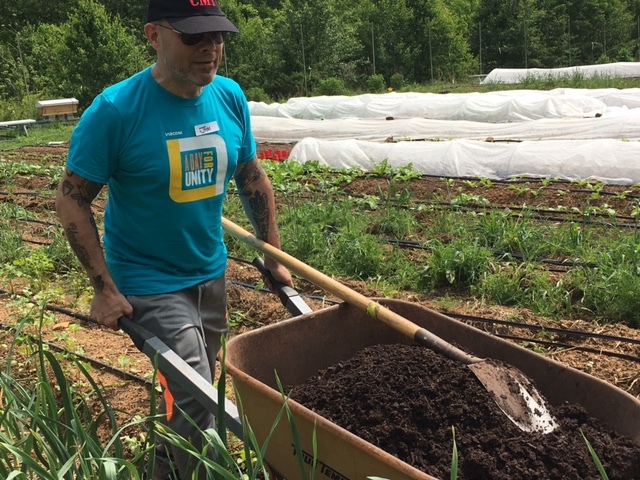 Viacom employees helped the Nashville Food Project maintain their gardens at Viacommunity Day 2017. 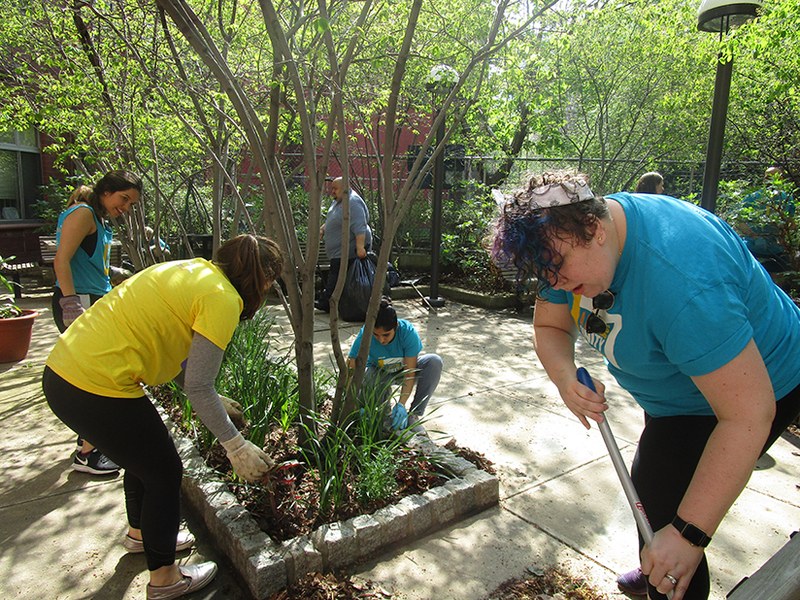 Chloe Gingrich, left, and site captain Katie Knorr, center, joined other Viacom employees in fixing up the garden at Henry Street Settlement in the East Village at Viacommunity Day 2017. 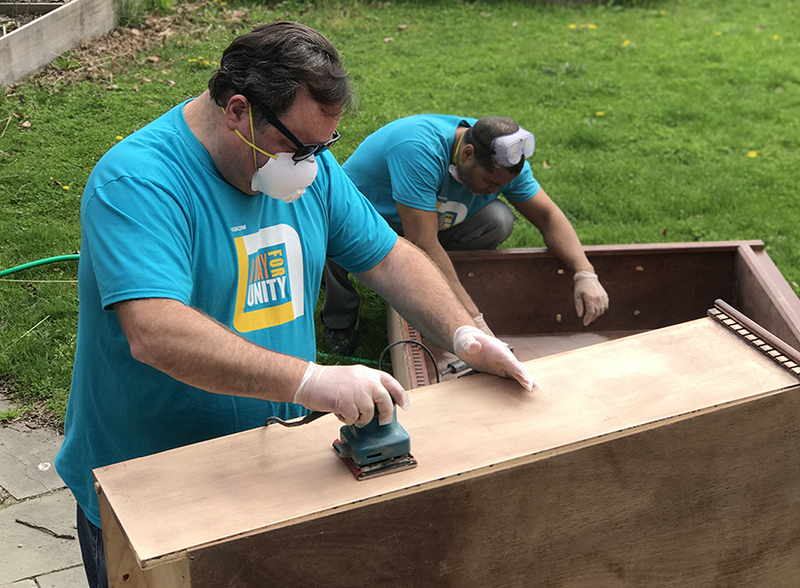 In an enormous show of support for local communities around the world, more than 4,000 Viacom employees threw themselves into the 21st annual Viacommunity Day last Friday. It was themed as a day of unity, bringing employees from every part of the company together at more than 150 projects sites across the United States and more than a dozen other nations, a collective effort that underscored Viacom’s unwavering dedication to putting our resources, skills, energies and collective will toward improving our communities. To learn more about the many initiatives undertaken on Viacommunity Day, click here. Viacommunity is the umbrella effort representing all of Viacom's social impact programs. Through the power of entertainment, Viacommunity works to inspire social change hand and hand with the people we serve, the employees we work with, and the communities in which we operate. Some of Viacommunity’s key areas of focus include building diverse and inclusive societies, promoting healthy living, inspiring future generations through education and empowering our employees with the tools, resources and freedom to truly make a difference.